Understandably so, endurance athletes are always in search of a boost in energy and performance. More often than not, caffeine is the go-to for athletes. But is caffeine truly an ergogenic aid and is it safe? According to American College of Sports Medicine, caffeine may be the most widely used stimulant in the world. It can come in many forms such as coffee, nutrition supplements, tea, soft drinks, energy drinks and chocolate. Caffeine can reach its highest levels in the blood approximately one hour after ingestion. It can have a stimulant effect on the brain as well as affect blood pressure, pulse rate, stomach acid production and fat stores. Many athletes use caffeine as a potential ergogenic aid and performance enhancer. Caffeine may help mobilize fat stores, enabling the body to use fat as its primary fuel source. By utilizing fat as fuel, this allows the body to spare glycogen, which is an additional fuel source for the body stored in the muscles and liver. (For more on this check out Why Athletes Need Carbohydrates). By delaying muscle glycogen depletion, exercise can be prolonged enabling the athlete to go harder, longer, faster and perform more reps before fatigue. Glycogen sparing is most crucial in the first 15 minutes of exercise. This is when caffeine can help significantly decrease glycogen depletion. Even though caffeine reaches its highest levels in the blood 45 to 60 minutes after ingestion, some research suggest consuming caffeine three or more hours before exercise is most beneficial. The reason is that caffeine may have a maximum effect on fat stores several hours after peak blood levels. The Journal of the International Society of Sports Nutrition says that caffeine in the amount equivalent to one to three cups of coffee lowers heart rate during sub-maximal exercise, but not at near maximal or maximal exercise. The effects of caffeine were measured during dynamic leg exercise on a cycle ergometer. According to the Journal of Applied Physiology, no significant differences were noted in terms of heart rate. Recent work by the ACSM, on well-trained athletes reported that 3-9mg caffeine per kg (kilogram) of body weight one-hour prior to exercise increased running and cycling endurance in the laboratory. Caffeine may also help assist in enhancing recovery after exercise. According to the American Physiological Society, four hours post-exercise, muscle glycogen increased 66 percent by ingesting a carbohydrate drink containing caffeine as compared to the carbohydrate-only drink. This type of increase in muscle glycogen can help to expedite recovery and it will help to make the next day’s workout that much more productive. The carbohydrate and caffeine drink post-exercise also resulted in higher blood glucose and plasma insulin. Each individual can respond differently to caffeine. It can have many side effects such as poor sleep quality, gastrointestinal distress, fatigue, headaches, muscle cramping, dehydration and anxiety. Caffeine can also have a diuretic effect by increasing blood flow to the kidneys and inhibiting the re-absorption of sodium and water. 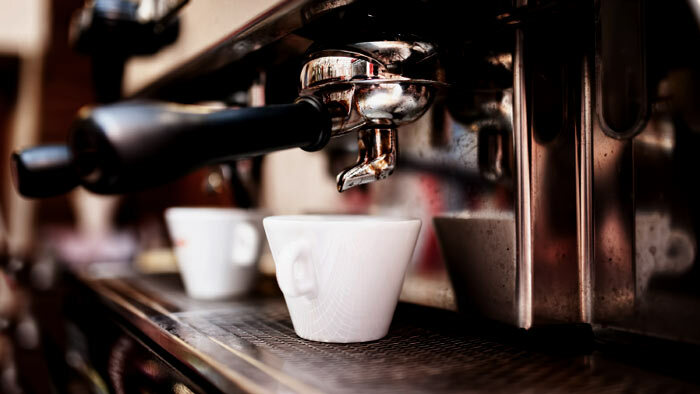 According to the American Medical Association Council on Scientific Affairs, moderate consumption of caffeine likely has no negative effect on one’s health, as long as an otherwise healthy nutrition and fitness lifestyle is followed. Is It Legal In Competition? Based on information provided by the IOC (International Olympic Committee), athletes are allowed up to 12 ug (micorgrams) caffeine per milliliter urine before it is considered illegal (15 ug as per the NCAA). These limits allow athletes to consume ‘normal’ amounts of caffeine prior to competition. In summary, caffeine may help assist in performance and recovery. As with any supplement/drug, be sure to use responsibly and always consult with your physician if you have any questions regarding caffeine use and your known medical condition(s), current medications, etc.